One of Riga’s loveliest Art Nouveau buildings is riding a new wave of fame – in a special, limited edition souvenir packaging for Riga Black Vodka. The souvenir box is dedicated to Riga2014 as the city attracts many new visitors as European Capital of Culture, and its design highlights the Latvian capital’s unique Art Nouveau heritage. The box is textured and depicts part of the building at Elizabetes Street 10b, designed by Mikhail Eisenstein and built in 1903. The building stands out with its lavish ornamentation, the façade featuring a composition of masks, peacocks, characteristically sculptured heads and geometric figures. Mikhail’s son Sergei Eisenstein later became a world-famous film director. 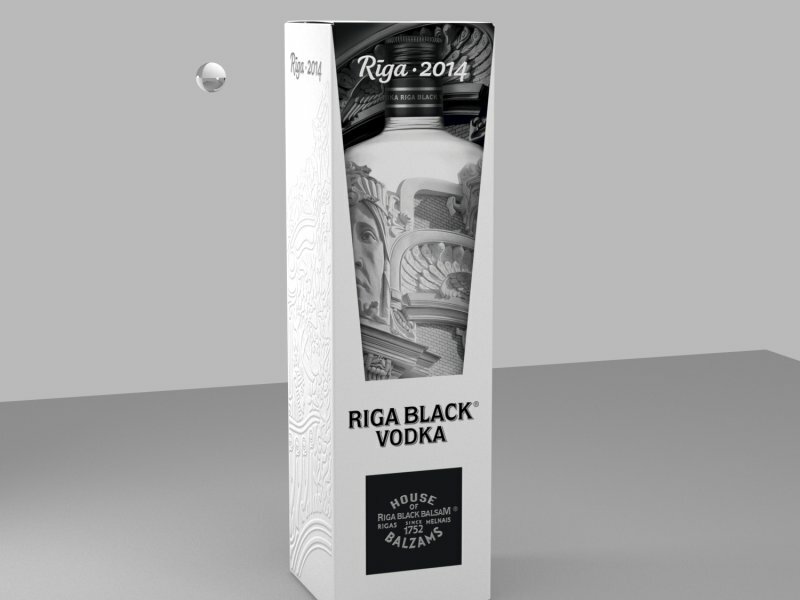 Riga Black Vodka is being packaged in its special box in a limited quantity of 6000 units. The first batch is being released for sale this week. Latvijas balzams, a leading producer of alcoholic drinks and creator of the treasured Riga Black Balsam which dates back to 1752, started production of Riga Black Vodka at the end of 2012. The vodka is sold on the domestic market as well as being exported to the UK, China and Israel. The quality and pure taste of this award-winning vodka comes from a seven-stage filtration, including an activated carbon filter with silver ions.